Are you looking for ways to build an email list or grow your existing one? Do you want to show customized offers to the right audience? In this case study, we’ll discover how Paint Your Life used OptinMonster to convert visitors by 28.57%. Paint Your Life creates unique, hand-painted artwork from photos provided by customers. They offer artwork in various styles including oil, charcoal, watercolor, pastel, pencil, and acrylic. Joel Kalinowski from Paint Your Life talked with us about how they’re using OptinMonster to grow their email list. As an online business, email is an important way for Paint Your Life to reach their customers. Though they’ve already started a list, Paint Your Life had trouble adding new subscribers. Joel brought OptinMonster onboard to resolve this issue. One of Paint Your Life’s most successful campaigns used OptinMonster’s popup optin to get visitors to sign up for emails. Using a lightbox popup, they were able to capture more leads by showing relevant offers to the right audience. In this campaign, they used the page-level targeting feature to target visitors on the Christmas Gifts page. Once the visitor lands on that page, they’re greeted by a popup with a heartwarming image of a grandfather standing beside a Christmas tree holding a painting of his wife and their granddaughter. The popup includes a coupon offering a 15% discount. Once the visitor enters their email, a discount code is sent directly to their email inbox. Paint Your Life converted 28.57% of visitors with this campaign. 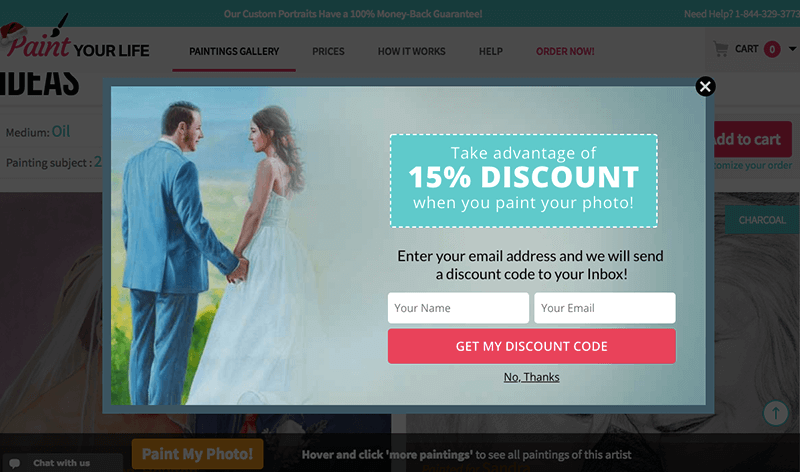 Visitors checking out wedding gifts in the anniversary gifts page are shown the same coupon offer with a beautifully painted image of a couple on their wedding day. Just as in the previous popup, when the visitor enters their email, they’ll get a 15% off coupon in their inbox. 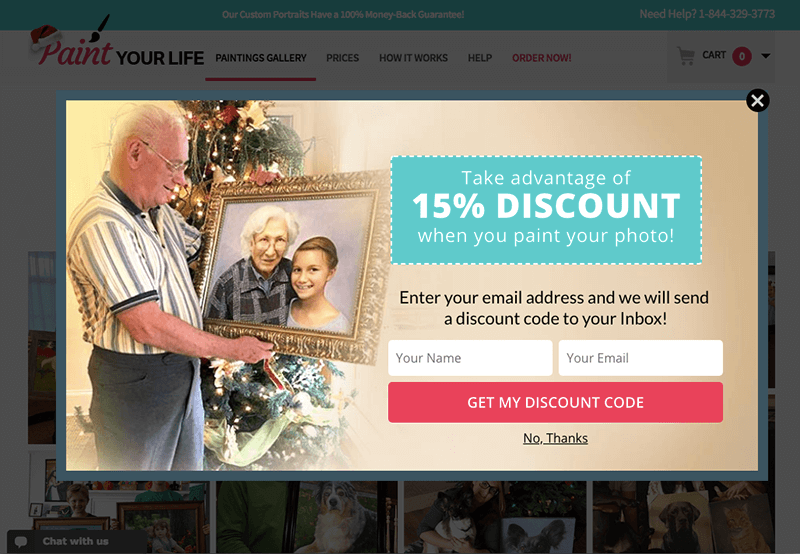 3.64% of visitors subscribed to Paint Your Life’s email list with this campaign. Paint Your life used the A/B split testing tool to figure out which popup converted best with their coupon offering on this next campaign. They wanted to see how different images performed. 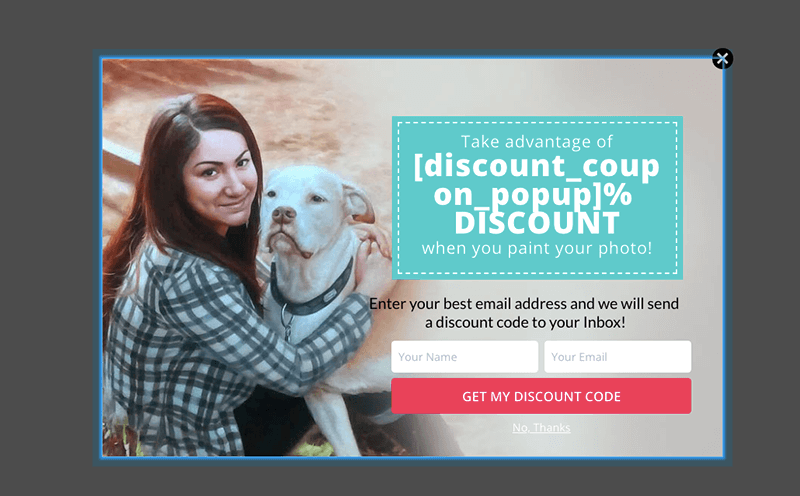 Both popups offered the same coupon, but the first popup shows a painted image of a dog. For the second popup, Paint Your Life switched out the image of the dog for an image of a dog with a woman. After running the test, it was clear that the first popup with the image of the dog alone converted better. With their spit-tested campaign, Paint Your Life converted 6.58% more visitors into email subscribers. Paint Your Life isn’t the only company that uses A/B split testing to increase conversion rates. Stays.net increased conversions by 26% using this feature. Paint Your Life increased email signups by 28.57% using page-level targeting. Paint Your Life captured 3.64% of visitors signups using targeted popups. 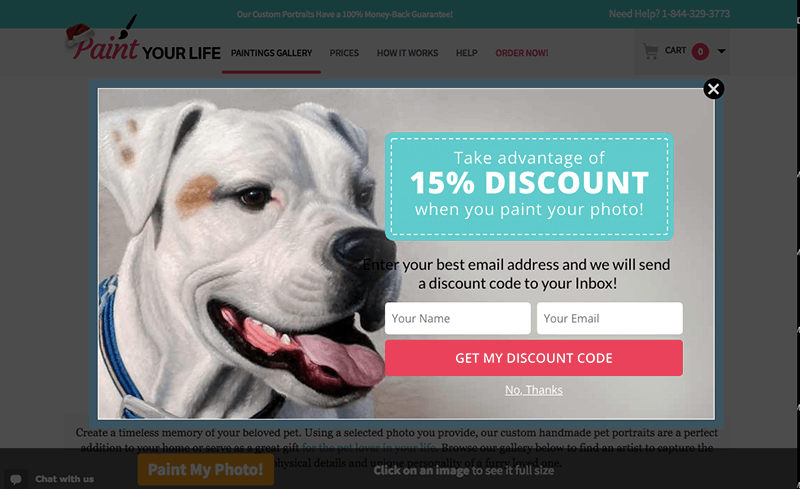 Paint Your Life converted 6.58% of visitors into email subscribers. 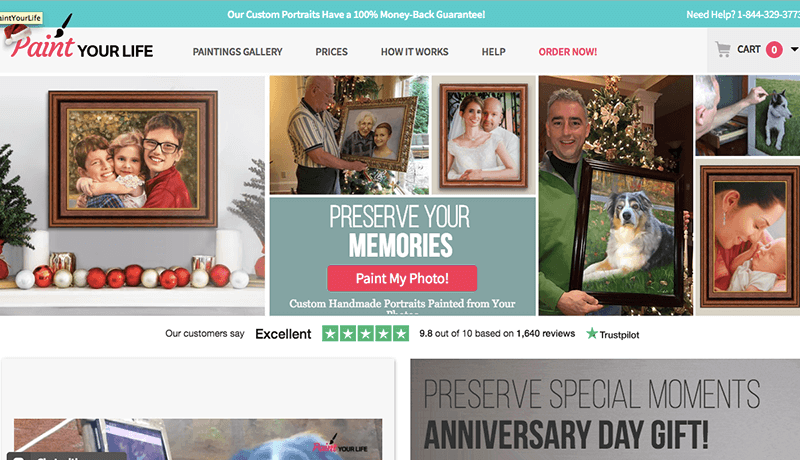 Paint Your Life used OptinMonster with a goal of growing their email list. By targeting specific visitors with customized offers, they were able to reach this goal and convert visitors to email subscribers.